Our partners at Rotoflex have recently debuted a new technology to its suite of solutions- the Rotoflex DF3. The machine was formally introduced in our stand at Labelexpo Americas 2018. Rotoflex DF3 is a configurable offline digital finishing and converting solution. Servo-driven from unwind to rewind with print and die cut units in between, the intelligent DF3 system delivers efficient operation and a full spectrum of offline decoration and finishing in the fast-growing digital and hybrid world. 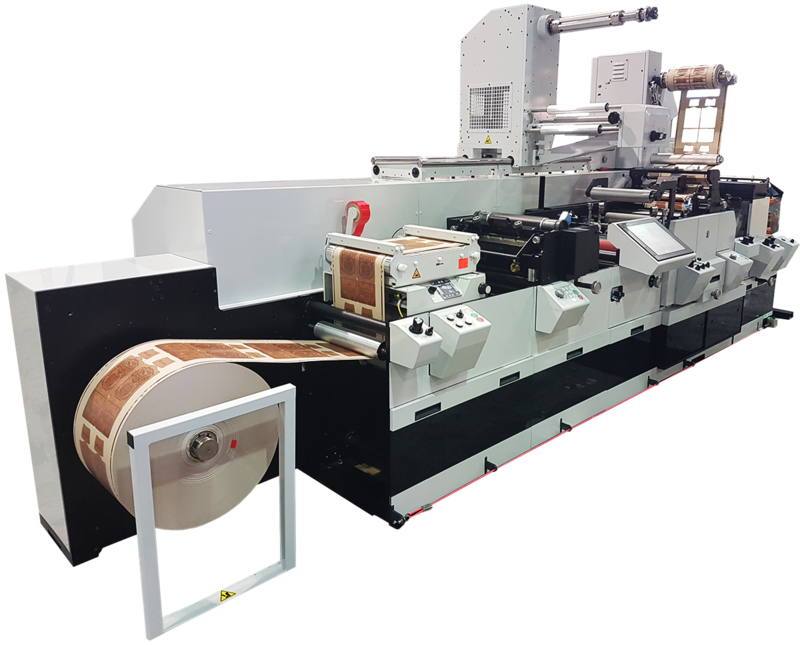 “The DF3 is ideal for a business that currently operates roll-to-roll digital label presses and is ready to its optimize finishing processes” explains Kevin Gourlay, Senior Vice President, Rotoflex. “The Rotoflex organization is excited to share with the industry how this solution can remove the bottlenecks in production while meeting customer embellishment requirements. 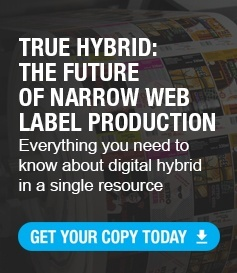 All with a single post-press asset.” The DF3 complements digital, non-hybrid label presses without inline converting functionality and eliminates the need for single-application embellishment units. The DF3 delivers capabilities of both full and semi-rotary diecutting which accommodates a wide range of repeat sizes and existing investments in tooling. Die changeovers are also achieved in 30 seconds or less. Additionally, like all Rotoflex solutions, the DF3 is backed by an experienced team of technicians who understand digital label and packaging workflow optimization. The DF3 was built with speed in mind, converting and finishing at an unprecedented 1000 fpm. Beyond speed of the actual hardware, Rotoflex is able to support delivery by end of the year for those interested in taking advantage of the Section 179 tax incentive for capital equipment expenses. The Rotoflex DF3 is available for demonstrations at the company’s new headquarters in Mississauga, Ontario, Canada. Beyond housing the core Rotoflex team, the facility also supports manufacturing of the inspection and rewind systems, which was initially conducted at Mark Andy Inc. headquarters in the United States. Chandler Davis is a Senior Marketing Specialist at Mark Andy Inc. She is a University of Missouri graduate with a passion for social media, packaging design, and all things printing. You can also find Chandler on LinkedIn.